Two of my favorite brands, in a beauty collaboration... YES PLEASE AND THANK YOU! All in all, this is really not a huge surprise, as NARS has worked with 3.1Phillip Lim to provide beauty looks for the runway shows. I mean, now allowing the masses in on the fun, is what's so freaking awesome about this project. 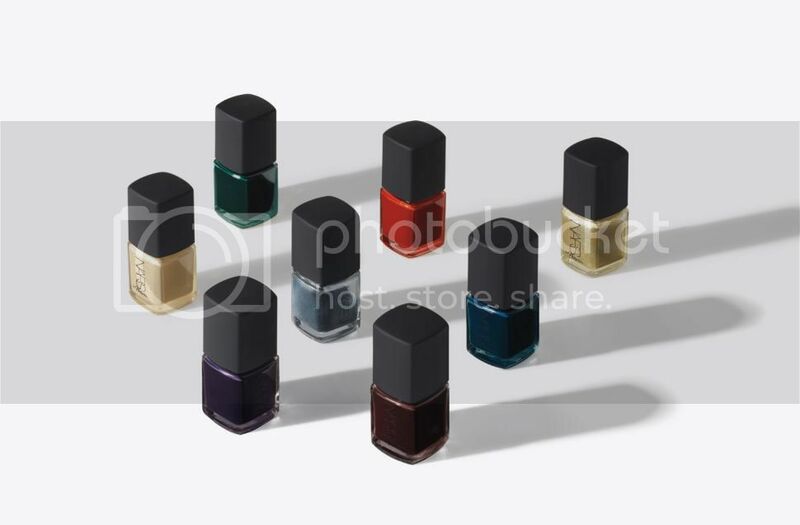 They will be offering a 9 piece nail polish collection coming in August to all Sephoras. If you are lucky enough to have a NARS boutique you can get your hands on them as early as July 15th. The colors are rich jewel tones that will be perfect for the fall. If you haven't realized by now, I cannot wait to shellac my pretty little fingers with all of these gorgeous colors.